Dumpster Rental Cimarron Hills CO: Cubic Hauling provides for residential and commercial customers in Cimarron Hills CO. Our dumpsters are ideal for debris removal for property clean outs, contractors, construction projects, move in and outs, real estate listing prep, remodeling projects, roofing, storm damage, yard debris, and other junk removal projects. 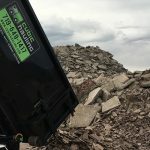 Call us today at 719-649-1417 for your roll off dumpster in Cimarron Hills CO. You also submit your request via our CONTACT FORM to order a dumpster, or to have questions answered. allow us to unload the dumpsters in smaller spaces. Cubic Hauling is a locally owned and operated roll off dumpster rental company serving Cimarron Hills CO. 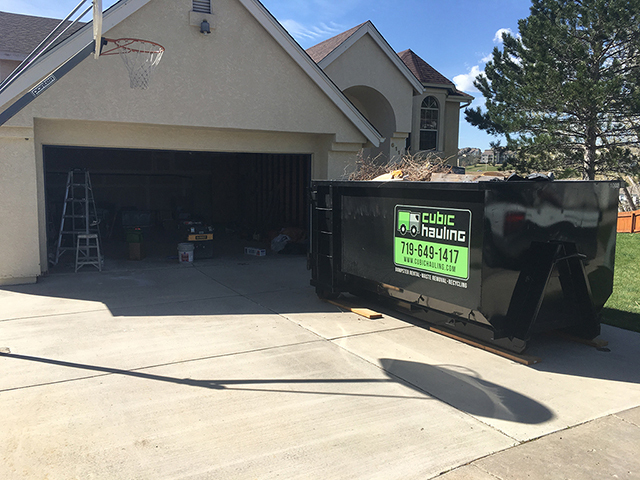 Founded in 2016, we are dedicated to providing the best dumpster services in the Colorado Springs area. 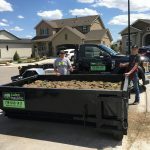 Since we are a local Colorado Springs dumpster company, we save you money because our pricing is local and lower than non-local dumpster broker prices. 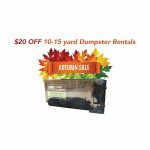 Cubic Hauling offers dumpster rental in Cimmaron Hills CO and the surrounding metro areas. We serve commercial & residential customers for construction cleanup, junk removal, hauling, recycling, waste removal, and more. Call today at (719) 649-1417 for a free estimate!